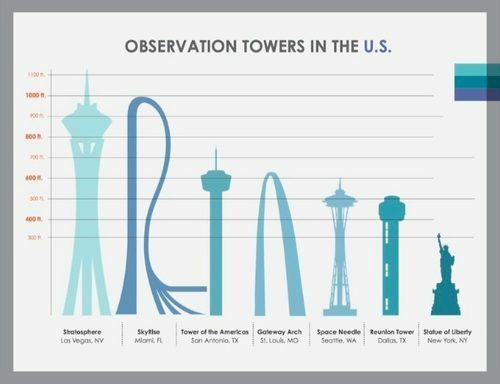 Shaped like a hairpin, the sleek structure would be open on the sides to allow hurricane-force winds to flow through and would contain observation decks, an upscale restaurant and ballroom and a pair of attractions for high-altitude thrill-seekers: A bungee jump and a Tower of Terror-like ride that would drop some 50 stories along the shaft. 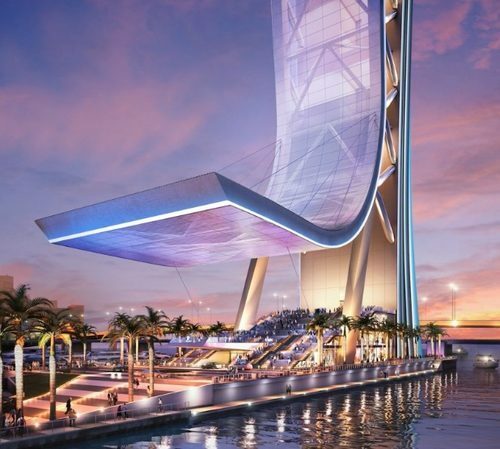 The tower, designed by Arquitectonica’s Bernardo Fort-Brescia, would also contain a flight-simulation ride that would take visitors gliding amid the towers of downtown, over the Everglades and diving down beneath the sea to offshore reefs. The ride would be similar to Epcot’s immensely popular “Soarin’” and made by the same company responsible for Disney’s, said developer Jeff Berkowitz. 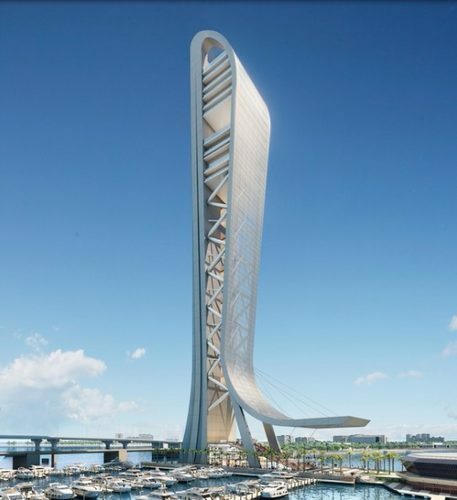 The Miami tower’s profile instead resembles a jumping fish or a cresting wave that faces south to Latin America, “the continents that Miami reaches out to,’’ Fort-Brescia said. The open sides would provide views stretching from the Gulf Stream west to the Everglades from indoor and outdoor observation decks. The southern façade would be covered in a perforated metallic screen. At ground level, a massive south-facing canopy — the tip of the wave — would frame a dramatic entrance and outdoor amphitheater. Though long rumored, the plan remained largely under wraps even as it advanced beyond a wild concept to a detailed, engineered and wind-tunnel-tested design by some of the world’s top firms. Tishman Construction, builder of both the first and the new World Trade Center, would be the general contractor alongside Coastal Construction, Berkowitz said. The Federal Aviation Administration, which must approve building heights along flight paths to and from Miami International Airport, has signed off on the tower, he said. The tower project marks a departure for Berkowitz, who made his name and fortune pioneering stacked big-box malls like Dadeland Station and the Fifth and Alton shopping center in South Beach. Berkowitz, who plans to personally invest up to $50 million in the project, said he’s already spent millions developing it. He expects the total project cost to fall between $300 million and $400 million. 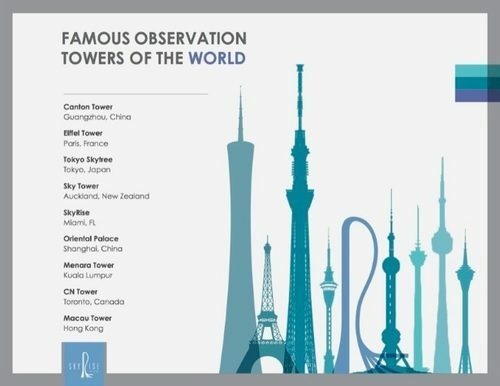 Whether the tower gets built will depend in part on Berkowitz’s success in tapping into a U.S. visa program that grants residency to immigrants who invest a minimum of $550,000 in approved projects. Berkowitz, who hopes to raise $250 million through the program, is traveling to China to meet with interested immigrant investors. Though he acknowledged that competition for investment through the visa program is strong, Berkowitz added: “I think we will be the prettiest girl at the dance.